Rev. ed. of: A woman's guide to personal discipline. - Publisher Choose your fruit. Readers see they can choose God�s power to achieve divine discipline and to bear the spiritual fruit of love, joy, peace, and patience. - morals, and thought habits. 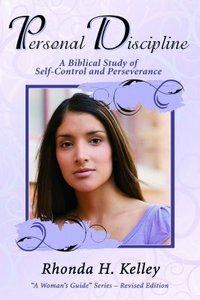 About "Personal Discipline (Woman's Guide Series)"
Kelley is managing editor and contributor of "The Woman's Study Bible" and has taught Bible studies for more than 15 years. She currently teaches at the New Orleans Baptist Theological Seminary.